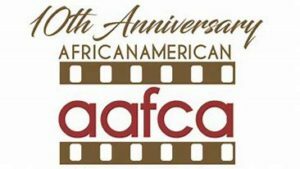 The African American Film Critics Association (AAFCA) has announced prolific filmmaker Jason Blum and music icon Quincey Jones among its 2019 Special Achievement honorees. Celebrating career excellence in and around the cinematic arts, the awards are given out annually by the association which represents the largest body of Black film critics in the world. Director Aneesh Chaganty, AAFCA Breakthrough Film Award recipient for his film Searching, and early jazz innovator Buddy Bolden, the posthumous recipient of the AAFCA Pioneer Award and subject of Daniel Pritzker long-awaited biopic, Bolden, also join the impressive list of previously announced recipients, including Netflix’s Tengo Nagenda and HBO’s Kelly Edwards. AAFCA Special Achievement Awards will be distributed over two signature ceremonies. Six awards to honorees, including Buddy Bolden and the film Crazy Rich Asians, will be presented on February 2 at the California Yacht Club in Marina Del Rey. Quincy Jones and Jason Blum will be honored at the 10thAnnual AAFCA Awards, alongside AAFCA Best Picture winner Black Panther and more, on February 6 at the Taglyan Complex in the heart of Hollywood. For more information on these events and AAFCA in general, please visit aafca.com.